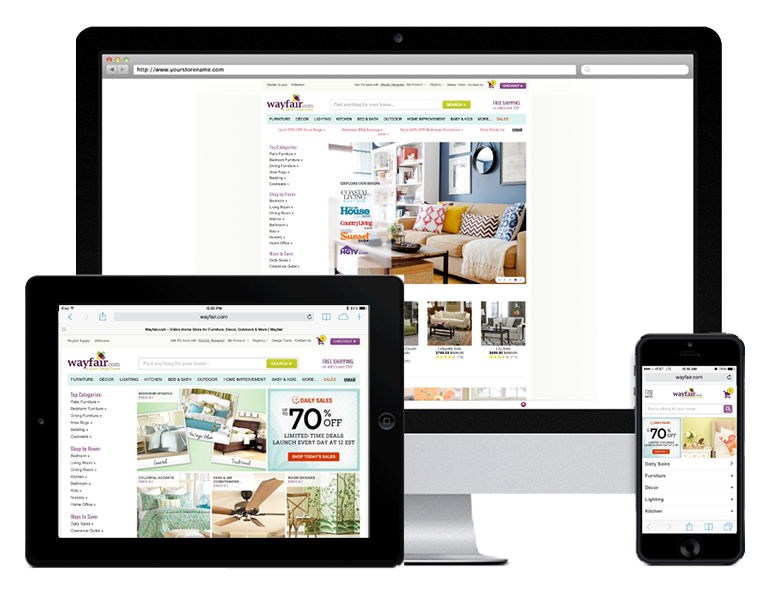 Wayfair is the largest online retailer of home goods in the US. The company offers 7 million home products across 12,000 brands within a brand portfolio, including Wayfair.com, AllModern, Birch Lane, DwellStudio and Joss & Main. With more than 2 million weekly visitors shopping on Wayfair’s multiple ecommerce sites, consistent performance is crucial to the company’s success. Wayfair was looking for three things from a CDN: consistent performance, minimal latency, and responsive support. They evaluated multiple providers to find the right CDN. Like most eCommerce sites, Wayfair’s site is comprised of millions of different-sized product images; the variance in type and size of images made it difficult for some CDN providers to deliver consistent performance. Fastly allows customers to write granular caching configurations on the network edge, so Wayfair could upload their own custom VCL (Varnish Configuration Language) instantly for optimized cache control. As a result, they found that Fastly provides the best and most consistent experience for their customers. Using Fastly as a caching layer, Wayfair has reduced their bandwidth expenditure in addition to improving their sites’ performance, allowing them to scale more efficiently. With Fastly, they found a feature-rich CDN platform that could grow with them as they expanded outside of North America. Wayfair was impressed with Fastly’s hands-on customer service. Fastly’s customer engineers helped configure their service quickly and continue to be responsive whenever help is needed. With an ever-growing network of successful ecommerce sites, Wayfair needs to be able to depend on backup if and when it’s needed.